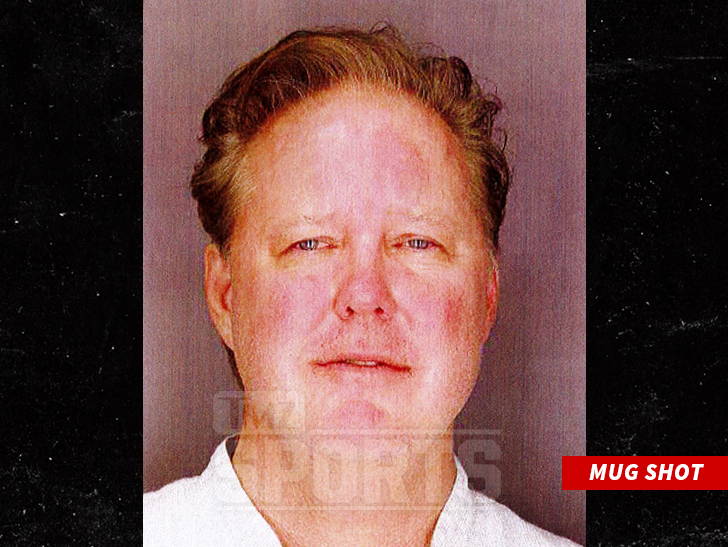 What happened: NASCAR chairman and CEO Brian France was jailed overnight after police in Sag Harbor, N.Y. pulled him over and arrested him for aggravated driving while intoxicated and criminal possession of a controlled substance (oxycodone pills), according to a press release from the Sag Harbor Village Police Department. The news was first reported by TMZ and more details are available there through TMZ’s sources. 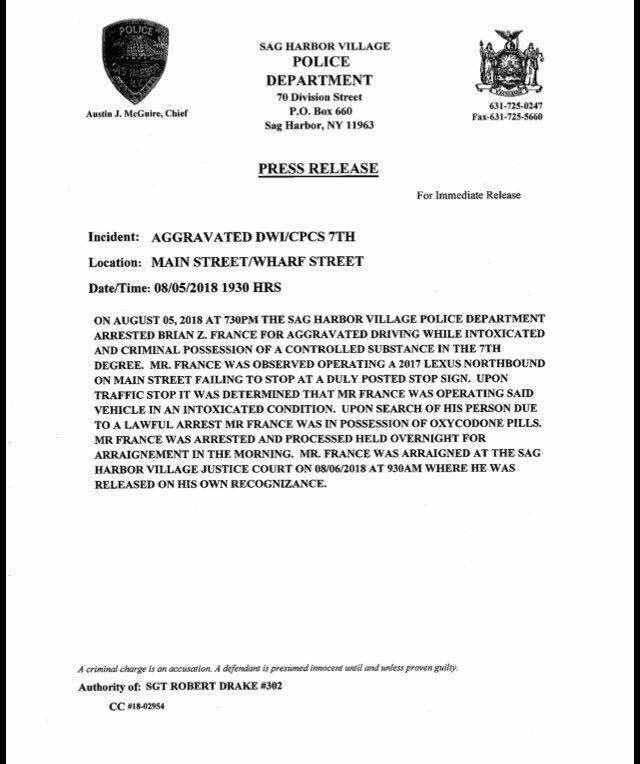 What it means: Two hours after Chase Elliott crossed the finish line at Watkins Glen, giving NASCAR a massive boost of much-needed positive momentum, NASCAR’s leader was getting arrested for DWI and criminal oxycodone possession in the Hamptons. As if France hasn’t done enough damage to NASCAR during his time in charge, this is a major black eye for the sport. Instead of a feel-good, racing-related storyline that seemed to give NASCAR momentum on Sunday, all the talk nationally will be about France’s arrest. Additionally, this comes while NASCAR is up for sale — so having the chairman and CEO conduct himself this way only serves to devalue the sport. France has been at the helm since 2003, a 15-year stretch in which he has made highly questionable decisions and statements, oversaw a sharp decline in his company’s fortunes and acted oddly during his all-too-rare public appearances. France has no ownership stake in NASCAR and serves at the pleasure of his uncle, Jim France, and sister, Lesa France Kennedy. Perhaps this is the catalyst in having Brian France step aside for someone who is more engaged and capable of guiding the biggest racing series in the United States through turbulent times. News value (scale of 1-10): Ten. Despite his lack of presence at the races and having other executives run the sport on a day-to-day basis, France is still the chairman and CEO of NASCAR — a sport with a strict drug-testing policy and public “Road to Recovery” procedure. Whether or not this is an isolated incident or a symptom of larger substance abuse issues, let’s hope France follows the example set by drivers and crew members and takes the time he needs to avoid such situations in the future. Three questions: Is there further embarrassment to come from this situation, such as a video of the arrest or mug shot? If this incident doesn’t result in France leaving his role as head of NASCAR, what would? Given France’s close friendship with President Trump (whose name France dropped during the arrest, per TMZ), could he simply be pardoned for any charges that result from this? Last edited by Annalee on Mon Aug 06, 2018 5:17 pm, edited 2 times in total.